This week Elizabeth Stewart is the muse, and what a stunning, sparkly card she provided for our creativity. 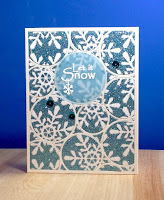 For my card, I chose sparkle, circles, snowflake, blue tones. I used rich blue glitter paper for the background panel. For some interest the inlaid white circle was created using the MFT Snow Drifts Cover Up cutting plate. 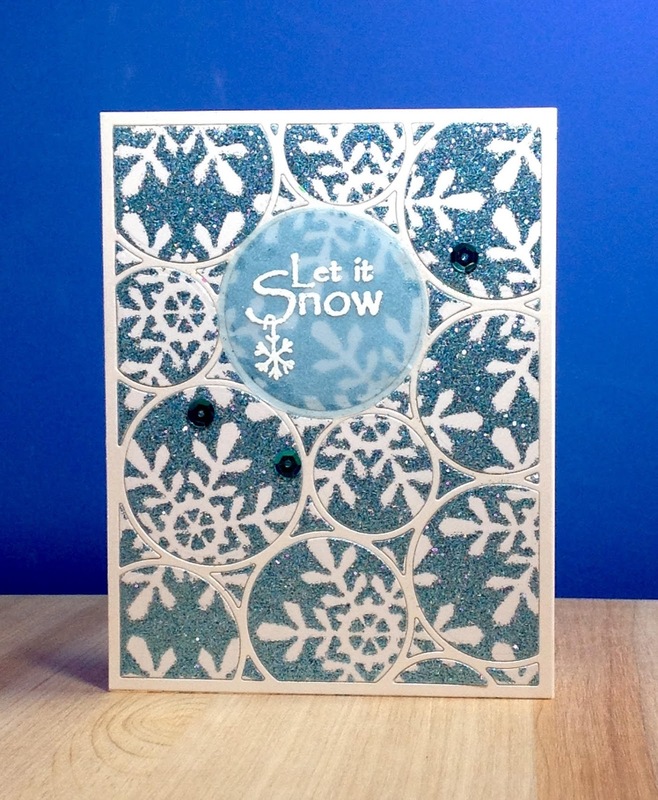 To show off the snowflake, a circle cut from the glitter paper was placed behind it. A 'merry christmas' sentiment and a few rhinestones complete the card. Holy glitter! Love the blue sparkle! I think you really nailed it on this one! Gorgeous sparkle! Wonderful interpretation of Elizabeth's card! Thanks so much for playing along at MCV! This looks like an Ardyth card to me (except maybe that it's not square! lol!) One of my favourite layouts - a circle focal point. Love all the detail on yours! So glad you joined us at MCV this week, Marilyn! What a lovely card! So CAS...so beautiful! Marilyn...your glitter cardstock is yummy! And to think you had that perfect snowflake in your stash...wow. This card is flawless CAS..my favorite! Love the simplicity. Thanks for joining. Love your simplified CAS version of Elizabeth's card. That blue glitter cardstock looks yummie too.